Choose to bank, double or risk losing half! From the 6 reveals, 2 reveals will consist of consolation prizes. Any person who has been issued with a Refusal of Entry order, or who is self-excluded, or who fall into category of excluded persons, is expressly prohibited using their Goldfields Rewards card. This promotion is open to Goldfields Black, Platinum and Gold Rewards cardholders only. Participants earn points by playing Slot machines and/or Table games whilst using their Goldfields Rewards card. Prize winners will be selected by way of TEEDS (Electronic draw). Draw times and dates; and points criteria to earn entries, will be advertised through advertising mediums used for this promotion. 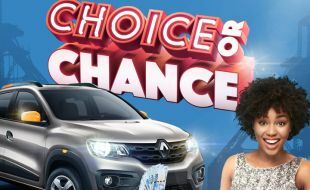 Participants must activate their entry into the draw(s), on the day of the draw(s) prior to the actual draw(s) within the specified times during which the entry bins are open. The opening and closing times for entry activations for the draw will be advertised. Entry activation for the draws will end prior to the actual draw start time. Cardholders can only win once per draw. The winner will now have a chance to take a chance of doubling their prize or getting half of their winnings by selecting a device. Prize winners or nominated Proxies who are present will be given 90 seconds to present themselves and must be in possession of evidence of the winning receipt/entry and positive and acceptable form of identification. The prize winner must claim the prize at Goldfields Cash Desk within 15 days of the draw.